It’s December, and you know what that means on the Internet. It’s Best of 2015 time, baby. You know the drill — Best Albums, Best Movies, Best Drake Memes, Best Crazy Politician Quotes, etc. Our end-of-the-year contribution involves what we know best: leather. We’ve compiled a list of the most stand-out products we’ve reviewed this year. For each category, we’ve chosen a winner and one or two honorable mentions. With over 140 products reviewed this year alone, there was some tough competition. It’s been an incredible year for the leather industry. We’ve seen some amazing companies produce beautiful products and really hone in on their craft. It’s been great fun to see more and more people discover the value of making thoughtful, lasting purchases, and we hope that trend continues in years to come. The Handmade Classic Messenger Bag with Gusset is a very, very nice bag that will last you a lifetime due to its high quality materials and superior construction. It’s worth every penny; possibly more. It’s American-made from high-quality leather and handmade exactly to your specifications. The simple and timeless style will never go out of fashion, and the leather will get even more beautiful the longer you carry it. What more can you ask for? The elegant aesthetic is the Bottini’s most dominant asset. The clean black leather, contrasted with the soft, red suede lining gives the Bottini a professional attitude. The metal hardware is consistently flashy, but gives the Bottini a fashionable appearance. The Metropolitan’s sleek, minimalist design, impeccable quality, and impressive versatility make it a dream. The Marlondo Backpack is gorgeous in its full-grain leather, brass rivets, and nickel-plated hardware construction. Equally at home in the office or on the trail, the craftsmanship and durability of this pack will serve you for years to come. If you are looking for a bag that will really make an impression, the Hidesign Hector backpack is the perfect bag for you. Its elegant construction, handsome materials, and graceful feel make this backpack perfect for the modern gentlemen who appreciates purpose. Priced at $299.99, it also won’t break your budget. The construction, fit, finish, and heritage behind the Red Wing Iron Rangers are all fantastic. In the realm of quality footwear, their price of $319.99 is a great value. You will receive a pair of boots that will be enjoyed for years, will continue to perform well, and will become a daily companion on all of life’s adventures. Weinbrenner’s Thorogood Dodgeville Boots will truly last you a lifetime. With each component made and assembled in the United States, you know you are getting tip-top quality when you purchase a pair of Thorogood Boots. Attention to detail on the Weaver shoes is fantastic. The build quality is excellent, and the styling and versatility make them unique standouts. Made in the original Dr Martens factory in England, you’ll wear these shoes for many, many seasons. At Cordoba Leather, you are getting all leather, handmade sandals made in the USA precisely to your foot’s specifications. $177 is great deal for these sandals, especially considering how comfortable and sturdy they are. You and your Ladies’ Hudsons or Men’s Holidays will be taking long walks on the beach for years to come. The Johnston & Murphy Maggie Penny is crafted from thin, glove-soft nubuck, constructed on a rubber driver sole and features hand-stitching around the vamp and back seam. The Maggie Penny is a classic driver, with a timeless look and feel. Their low profile and lack of a penny loafer style heel keeps them casual, comfy, and easy to wear. The blue color I have is bright and fun, perking up outfits that would be boring with regular flats. The Johnston & Murphy Maggie Penny is a great choice if you’re looking for a comfortable shoe that you can wear casually or at the office. Hanwag’s Tatra Lady boots are an excellent choice for the frequent hiker. Their stability and expert construction speaks well of Hanwag’s legacy, and their unique color sets them apart from other similar boots. The J Michael Ashland Steerhide Belt, with its high standard of build quality and superior components, definitely qualifies it as a Buy It For Life item. With its $70 price tag, it’s also a bargain. The deep, smooth black color contrasting with the silver buckle on this belt combines to create a very classy look. The quality of the leather combined with the high level of workmanship also exudes a commitment to your desire to purchase and use products designed to last. The Everyday Leather Belt is a natural vegetable tanned strip of 10-11 ounce leathery goodness, sourced from Hermann Oak Leather Co. This hand made, hand finished high quality leather belt will allow you to wear it every day for decades. The Trayvax Element is a great option for those who are tired of traditional wallets and want a new and interesting addition to their everyday carry. With a money clip, bottle opener, paracord integration, keychain attachment, and more, you’ll be ready for anything that comes your way. The Cabrio Wallet is simple yet sophisticated, minimal yet capable of satisfying most traditional bifold wallet carrying folks demands. The design, the leather quality, the artisanal build quality all combine to create a very pleasing product. 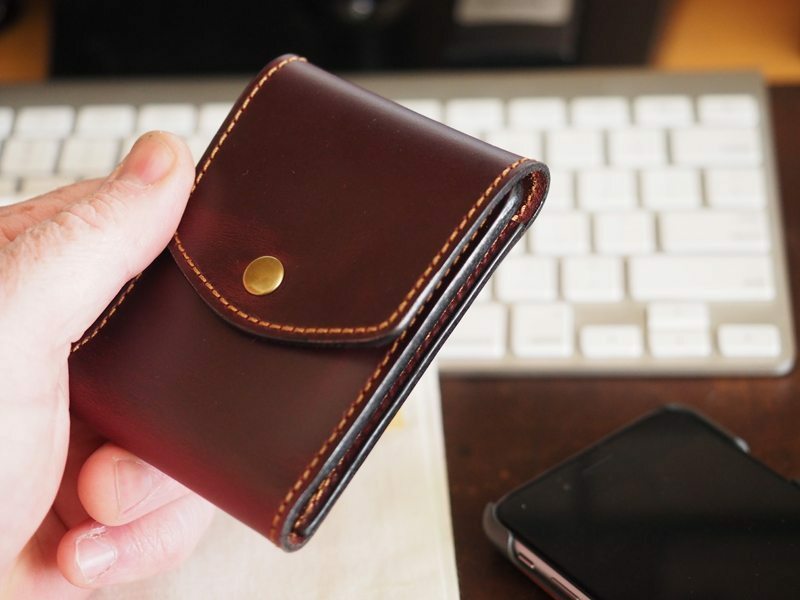 The construction of the Hammer Riveted Leather Wallet is what is going to separate it from the traditional wallet you’ll find in a department store. Single-piece premium steer hide bridle leather sourced in the USA? Check. Rust-resistant plated steel rivets eschewing the tradition of stitched seams? Yep. Compact design weighing only 50 grams and measuring an average of 1.4 millimeters in thickness? You got it. In keeping with Satchel & Page’s dedication to quality, the suitcase is extremely well built, looks fantastic, and will serve regular or occasional travelers with panache and ease. It’s definitely a Buy It for Life item and comes highly recommended. The Whipping Post Weekender Bag is a particularly attractive travel bag, with its combination of two leather colors, copper rivets, and the antique brass hardware. It’s simple in design, but it turns heads and draws attention. The Barrel is an excellent choice for a weekender, especially if you are looking to customize certain aspects, particularly the liner. It’s handmade in the USA, using beautiful, high quality materials. The price is high, but the gorgeous Horween leather and excellent construction will serve you well for years and years, especially considering Bryer Leather’s lifetime warranty. 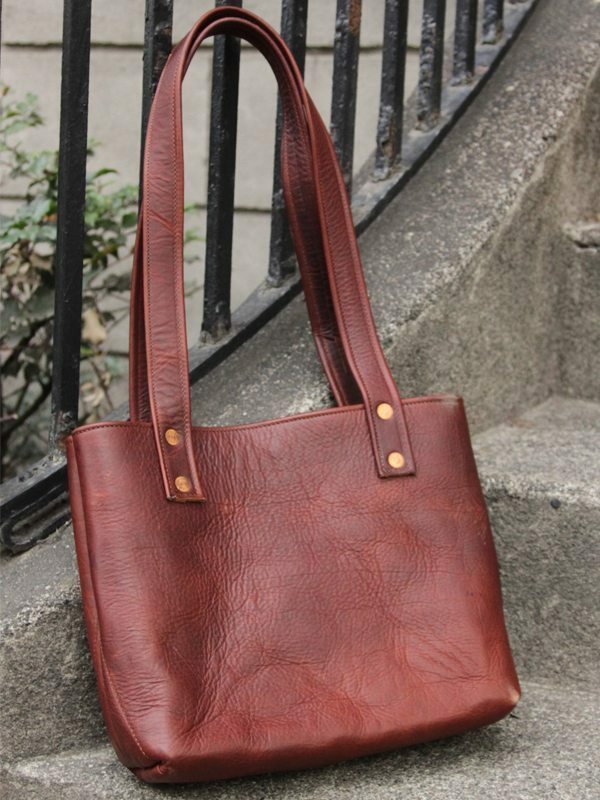 The Market Tote is handmade in the United States with top-notch materials that get noticed. It’s a tote that you’ll be proud to carry wherever you go. It’s simple, but the beautiful Horween leather stands out and gets compliments everywhere it goes. If you often find yourself between tracking down historical artifacts and going out for a night on the town with no time to change, the US Wings Signature Series Vintage Cowhide Indy Style Adventurer Jacket is an investment that will serve you for a long time. The American made heritage and quality construction will prove to be a great asset to your wardrobe. Every fashionable man needs a good leather jacket in his wardrobe. If you are looking to make a statement and harken back to the leather loving armed forces of the day, the Alpha Industries MA-1 Leather Flight Jacket is an appropriate choice. The Sabina Coin Purse from Maxwell Scott has a lovely vintage, feminine aesthetic. It can function as an everyday carry wallet or a clutch for a night out on the town. Crafted from gorgeous leather and constructed beautifully, this can be a cute alternative or companion to a traditional wallet. The Roxbury’s fun, bohemian style is trendy and of-the-moment. Its exceptional construction, hardware, and beautiful leather feel extremely luxe, striking the right balance between bohemian and classy. The DaLuca Straps 1 Piece NATO Watch Strap is a solid choice for the first time strap buyer. You can’t go wrong with NATO simplicity and luxurious Chromexcel leather. If you want to compliment your timepiece with a comfortable, timeless design, this strap is certainly worth your consideration. The SNPR Custom Watch Strap will compliment any large faced timepiece. With a huge variety of leathers and thread colors offered you’re sure to find something to your liking. 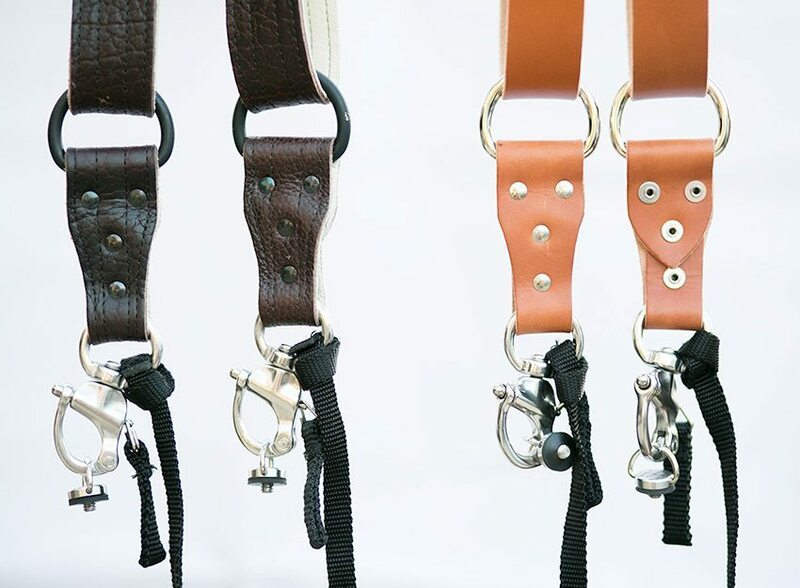 These straps will last you for years to come, and only look better with age. The small Spencer Collection is a blend of classic materials with a modern design. Precision milled solid brass bottle openers and key hooks, with beautiful walnut inlays and top-grain leather straps. It is obvious that passion, time, and superior materials went in to the making of the Iron & Resin Elk Bobber gloves. At $72.00, the Elk Bobber is a reasonable investment that will absolutely last a lifetime of riding. What really stands out about the No. 18 Tablet Portfolio is the attention to detail. The double snap closure, the business card slot, the penholder, even the included legal pad and pencil are unique and customized for this piece. It’s American made, it’s full-grain American leather, and it does its job beautifully. If you’re a MacBook user, The Loop is a must-have accessory for keeping your charging cord organized. It’s a great price, unique construction, and will last longer than your Macbook does. The Loop is a sleek little accessory that saves you both the time and frustration of untangling cords. It also saves space in your bag because it wraps everything up so compactly. The Roamographer’s customizable insert, wide-mouth opening, and lobster-claw straps are all details that have obviously been thought through by people with experience hauling camera gear. This is a bag that gets noticed. There’s a reason the Roamographer is making a splash in photography circles – it’s unique, it’s extremely functional, and it’s constructed impeccably. The Holdfast Small Roamographer Bison Camera Bag will keep your camera (and many more after it) safe and secure, while looking incredible. 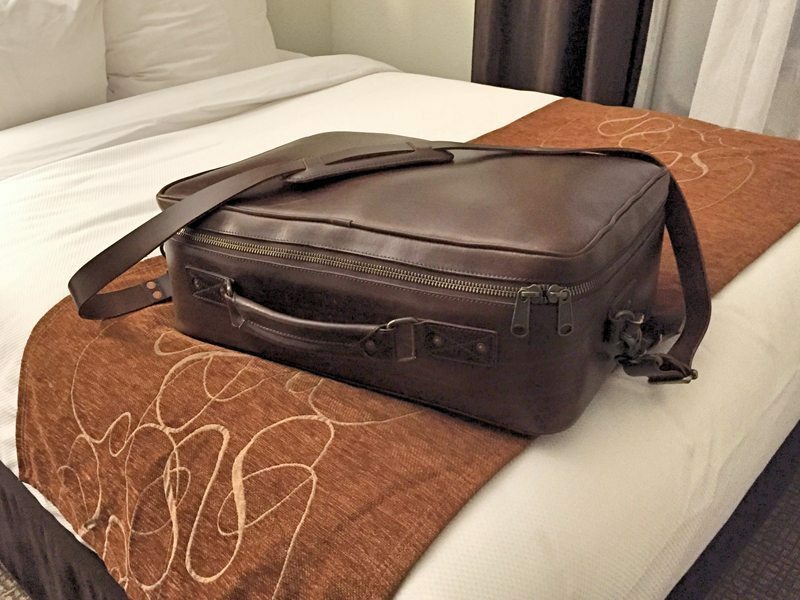 If you are an established professional photographer or even an amateur, taking a look at ONA Bags and investing in a quality leather camera bag will not be a decision you regret. With beautiful full grain leather and easy snap brass hardware, The Brixton is a fantastic choice and will outlast your expensive camera gear. The Westward Leather Double-Tray Dopp Kit is a very unique, standout product. It’s handmade in the USA, features double-stitched seams, copper rivets, and a genius design. For $180, you’re getting a great dopp kit as well as a valet tray that’s sure to last a lifetime and more. The Money Maker Multi Camera Strap is a great gear system for on-the-go photographers carrying multiple cameras and lots of gear. If you want a camera support system designed and built by a seasoned photographer that is attractive and functional, Hold Fast Gear has got it right. With twelve models, there is plenty to choose from when trying to satisfy your sense of adventure. If you appreciate minimal and simplistic designs that get the job done, look no further than the Horween Front Pocket Wallet. Being only 2.5” wide and 4.5” high when folded, Turek did a great job of creating a sleek little wallet to hold your essentials. Its sleek and minimal look, high quality construction, and genuine Horween Leather make it an excellent deal, at just $32. This is a belt you could tow your truck home with. The Thirteen50 leather belt is fashioned from 12-14 ounce leather, which means it is incredibly thick and durable. The edges of the belt are nicely burnished and beveled. The hardware used is solid brass. This belt, which definitely meets our Buy It for Life criteria, is just $70 and comes with a lifetime guarantee. 4 Comments on "Best of 2015 Awards"